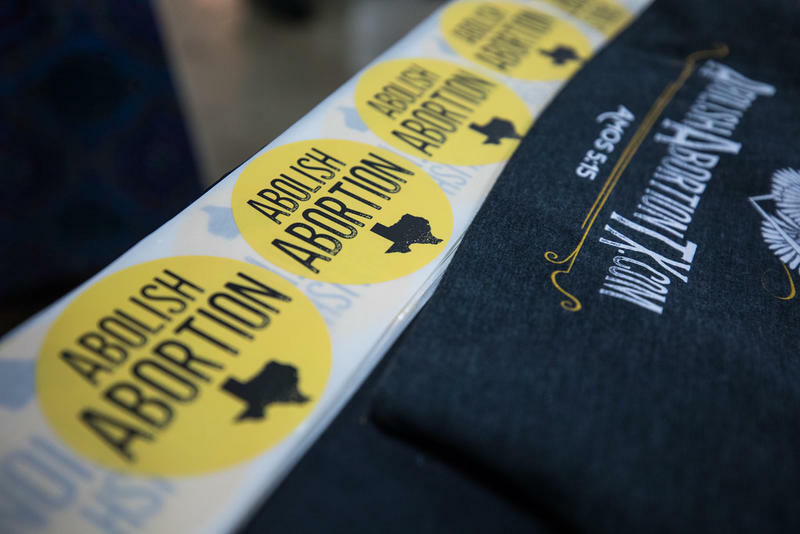 Anti-abortion stickers at the Texas Republican Convention in San Antonion earlier this month. “We are one of the states where the harshest restrictions are tested out, and then if they pass muster, they get through our Legislature and then they go fight it out in the courts,” says Rosann Mariappuram, a board member with NARAL Pro-Choice Texas and a reproductive justice legal fellow. 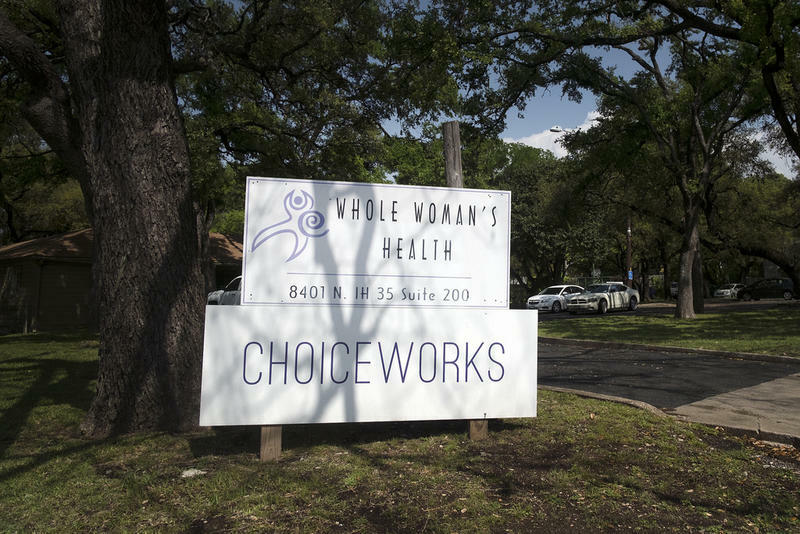 Mariappuram says when it comes to abortion laws, the U.S. Supreme Court has acted as a sort of check on Texas in the past several years – and votes have been really close. So, she says, a change to the makeup of the court is a big deal. “I think there is a very real concern that – like what we saw with HB 2 – the only way that two of the most damaging restrictions were prevented was by a court battle,” Mariappuram says. 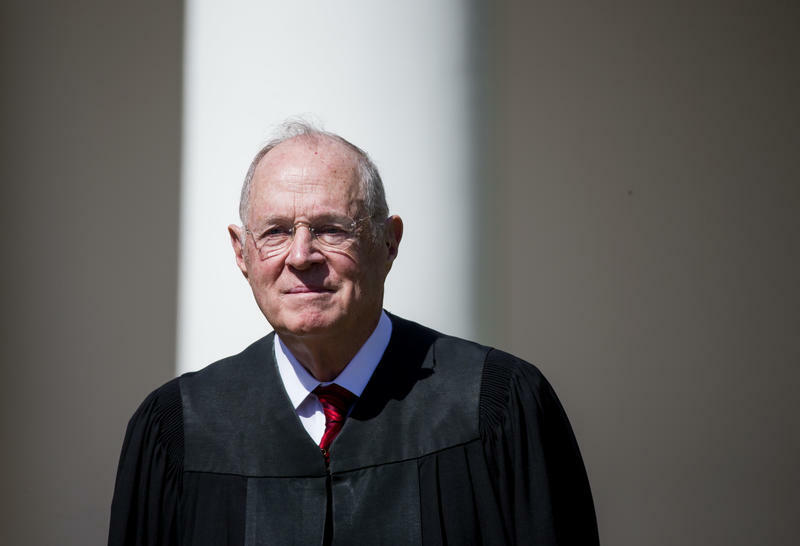 For anti-abortion groups, though, Kennedy's departure from the bench is a big win. Arrambide says under the Trump administration the courts have gotten more conservative – including the 5th U.S. Circuit Court of Appeals. That means if people want to defend abortion rights in Texas, she says, they'll have to do it at the ballot box. 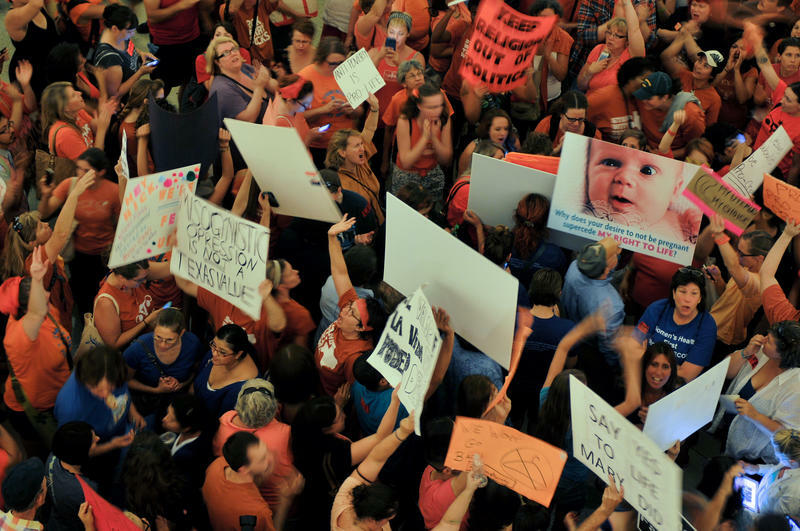 Thousands of anti-abortion Texans are expected to rally on the steps of the state Capitol on Saturday for the Texas Rally for Life, an event recognizing the 45th anniversary of what they consider the "tragic" Roe v. Wade decision. 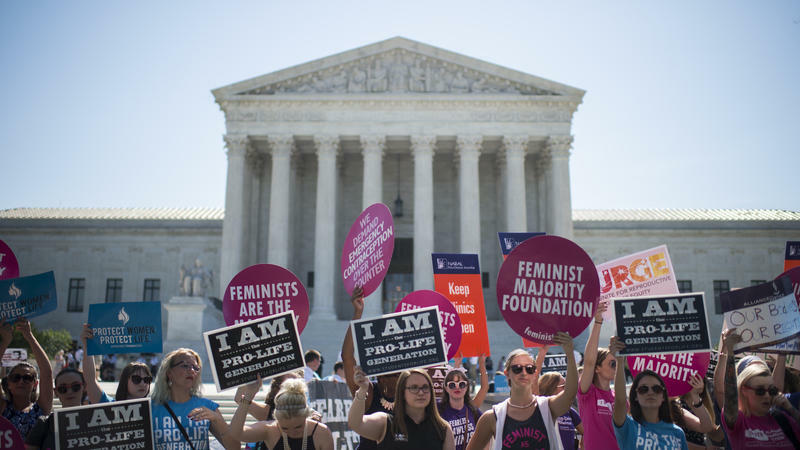 But as attendees mourn the U.S. Supreme Court case that ensured a right to a legal abortion, they'll also celebrate. This past year, they say, has brought "sensational" gains for their movement.